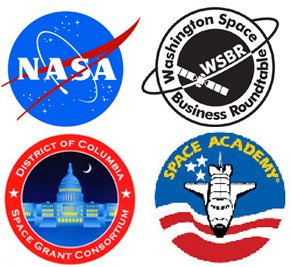 The INSPIRE Project teamed up with the U.S. Space & Rocket Center, District of Columbia Space Grant Consortium, Washington Space Business Roundtable and other partners to offer DC area middle and high school teachers /administrators full scholarships to attend Space Academy for Educators in Huntsville, Alabama. 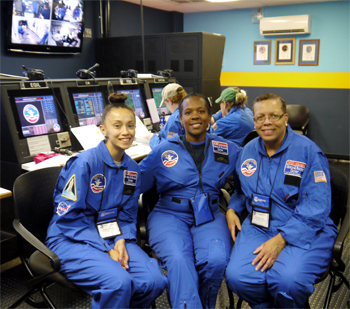 The weeklong program during the summer includes authentic astronaut training simulators and activities developed to promote learning in a classroom setting. Curriculum includes NASA content and is correlated to the Next Generation Science Standards (NGSS). 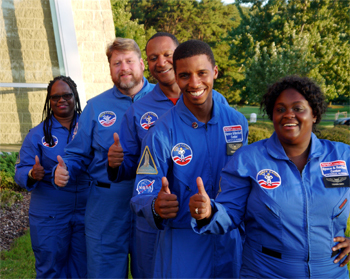 Trainees in Space Academy for Educators can earn 45 professional development hours and educators get access to a shared website with lesson plans, networking opportunities, and tips to adapt many of the workshop activities to individual class environments. 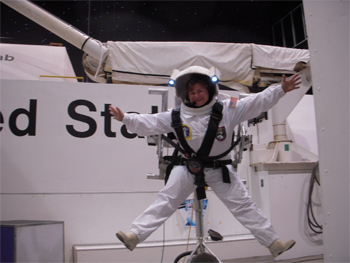 Teachers participate in two simulated Space Shuttle Missions, simulate walking on the Moon and working in the frictionless environment of space on astronaut simulators and weather permitting, spend an afternoon at Aviation Challenge simulating parachute landings and helicopter rescues in the water. Note: Space Academy Summer 2019 application deadline April 30th. Recipients of scholarship awards will be notified by May 20, 2019.